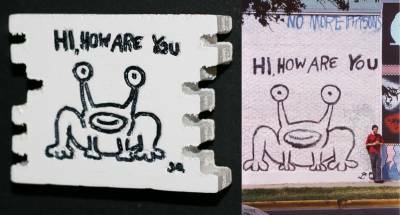 We're excited to announce a hand-made, limited quantity, Jeremiah the Frog Mural magnet, designed to look like a souvenir of the brick wall from the mural by Daniel at 21st and Guadalupe Ave in Austin, Texas! 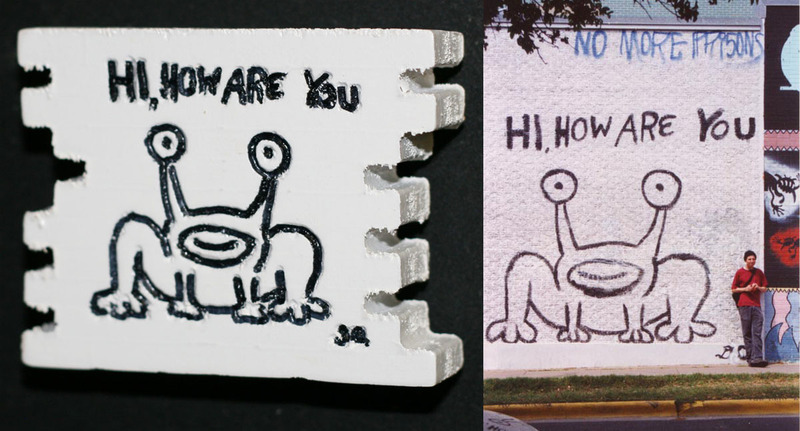 Each magnet is made by hand from wood, painted and colored with a magnet on the back. They are signed and numbered on the back. Only TWO (2) left in stock. When they are gone, they are gone!